There are a lot of good threads on here about brakes. Thanks guys and gals for sharing your knowledge. A brake inspection of my new to me coach finds that it needs a little work. 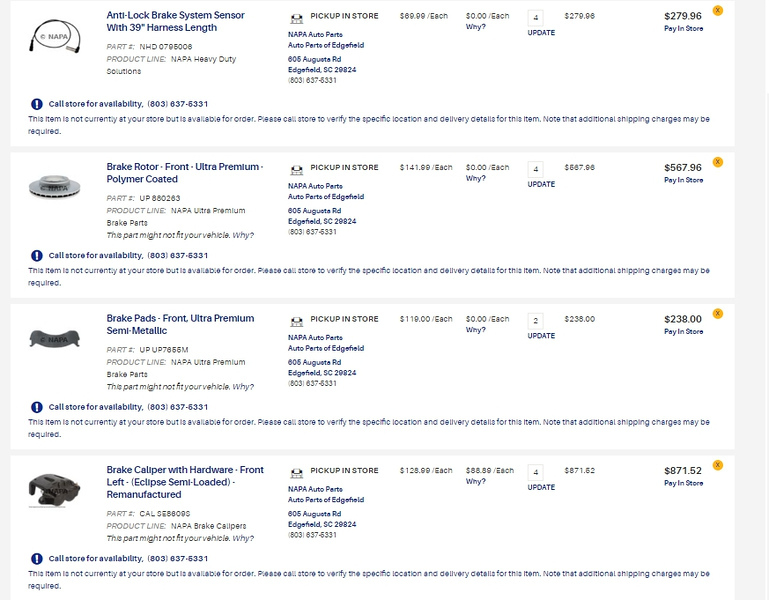 I've got a small business guy that will do the work for me, but I am helping him look for parts. I searched high and low for the various parts numbers. I think I am getting close to what is right for MY coach. The most important number is the one on your brake calipers. Mine were 4153222, which is a 73mm caliper that was also used on school buses. My calipers have never been recalled, but they have the same phenolic coating on the caliper pistons as the 66mm calipers that broke the hearts and pocket books of some RVers. The skinny on the subject seems to be that when the brake fluid gets old (DOT 3), water gets in it. The introduction of moisture causes the phenolic coating om the caliper pistons to swell, which in turns causes the caliper pistons to stick. The gummy brake fluid also seem to play havoc with the ABS Modulator Valve. Everything after that is bad. This problem seems to mostly involve RVers. Commercial trucks that use these calipers are generally driven frequently, which helps alleviate the moisture problem. I don't hold myself to be the expert on this subject, and I have trouble transposing numbers, so if you have something to add about brakes, feel free to post here. 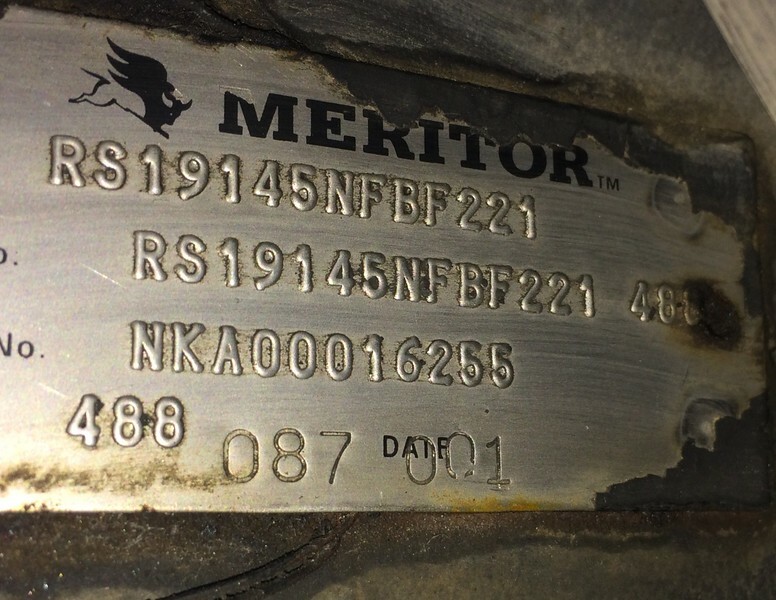 Also, the Meritor parts numbers will often cross match with cheaper parts made by other manufactures. Sticking brakes thread - ABS brake control valve sticking? I have recently purchased an ‘03 36fdds. I hope I don’t jinx myself but my brakes seem to be working well at this time. I do plan to change out the fluid in the near future. Right now I am changing out the shocks, which by the way are a Koni number F-99b 3209 on the front and a 8805-1022 for the rear on my coach. My brakes are working good too. When I changed my shocks (I also used Konis), I noticed a crack in one of the rotors. The crack made me want to look further. Good add on with the shock part numbers. Andy, I have been working on compiling a parts list for my 1999 40FDS. Many thanks to EngineerMike for getting me started. It is a work in progress and I would be happy to share it with you. PM me if you are interested. I made a typing error on the front axle number in post 1 - the last character should be 5. Durn! No chance to edit on this forum. I found the number for the abs modulator. It's on thr tag on the bracket. Mine was covered up by the frame bracket. I had to loosen the mount to get this picture. 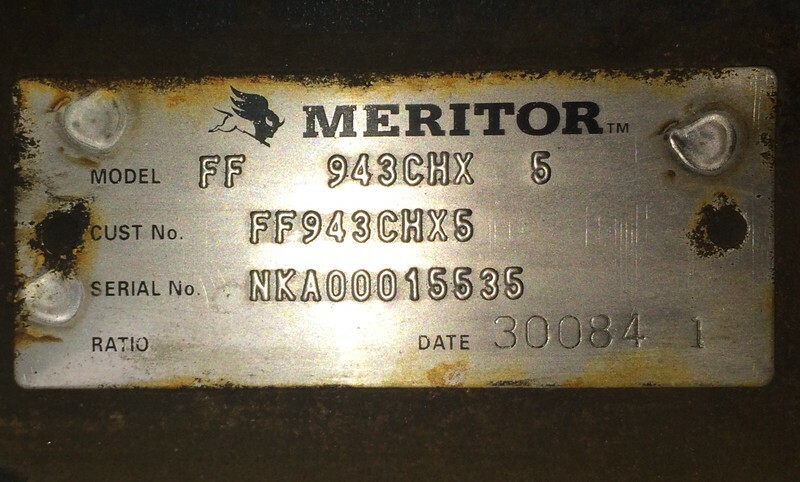 Regarding the ABS Modulator part number, I got this note from Meritor Customer Service: S478 407 015 0 will replace the entire unit. S478 407 056 0 is the modulator only. 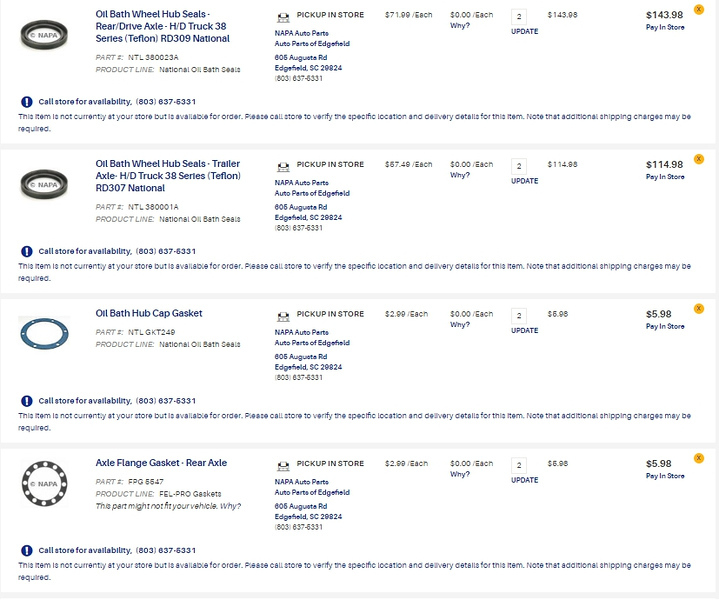 Still identifying parts - hoping you are seeing the add-ons for your list. 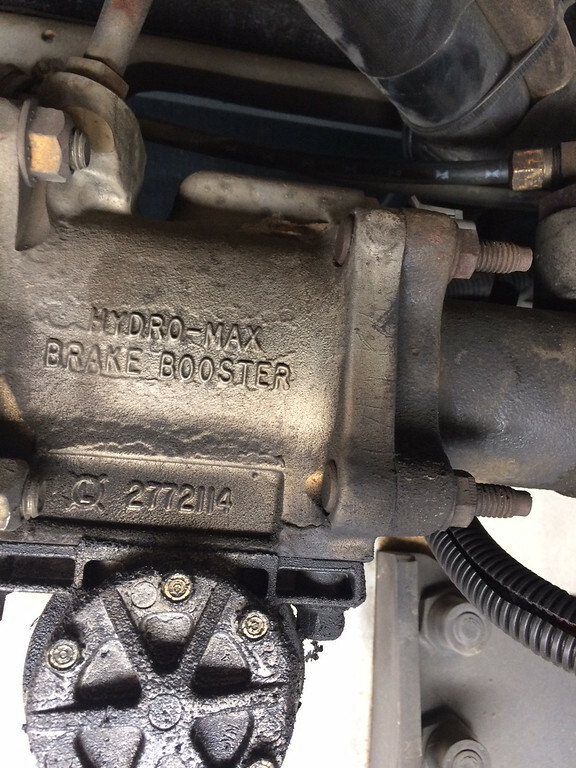 Jay Bennett shared this information from brake work on his 2000 36' coach in another thread. 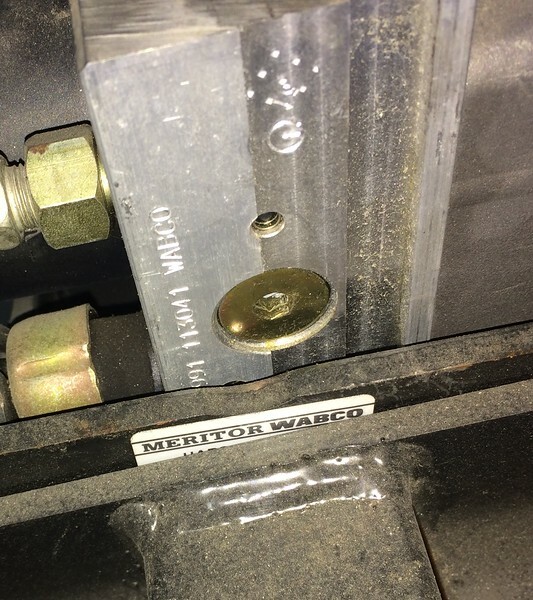 The caliper number is a match for the same 4153222 caliper on my coach. 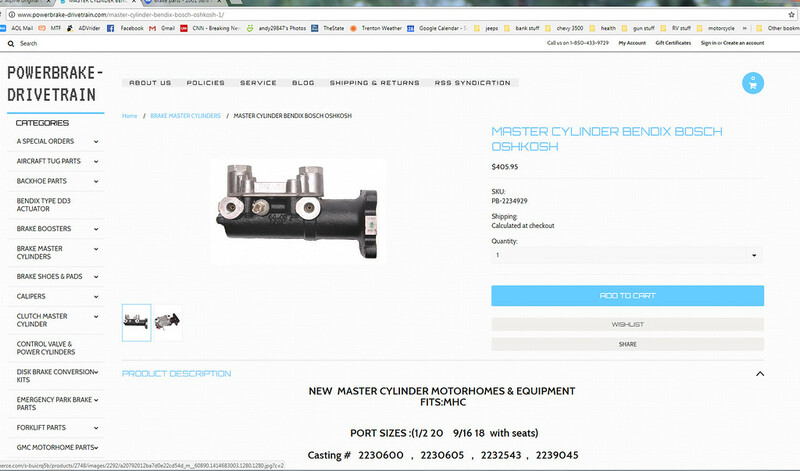 The master cylinder number doesn't match, but it looks the same. 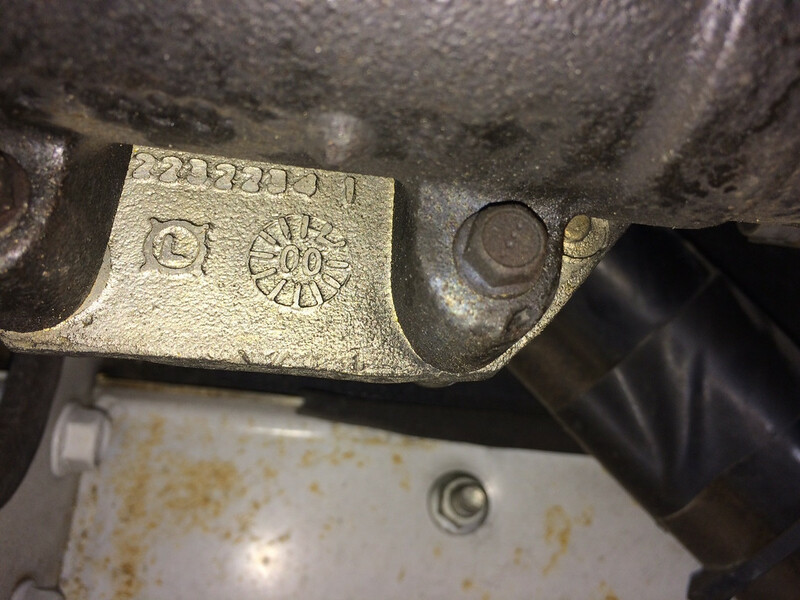 The number on the master cylinder part in my picture above is just for the silver part. 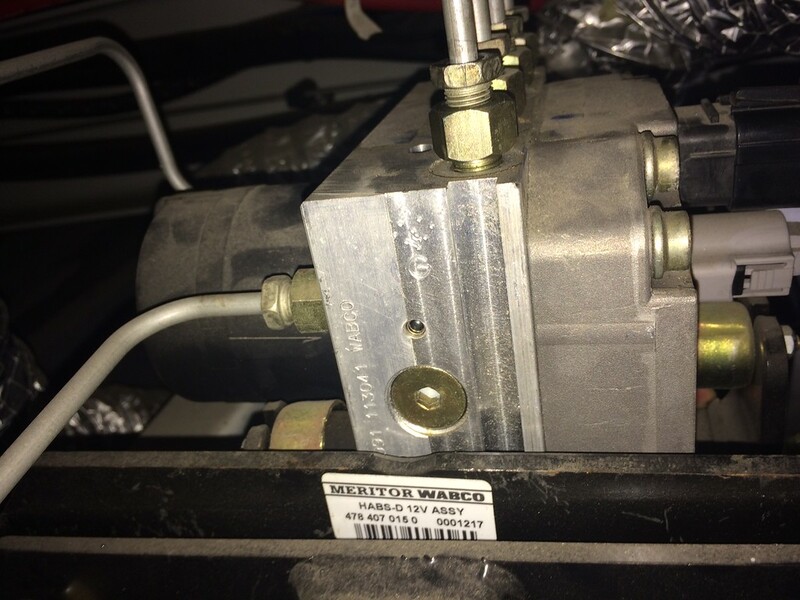 The ordering number for the master cylinder is 2239045. I spent the last week in the mountains. On the way home, after descending a longish grade, my brake pedal started feeling a little soft. I could pump it once and the feel returned to normal. I drove to a good stopping point and checked the temps on each wheel. The passenger side brakes were much warmer (120 degrees on both wheels on the driver's side, 200 degrees on the passenger front, 180 degrees on the passenger rear. I take this as a sign that the calipers pistons are sticking. I am ordering parts for the brakes today. 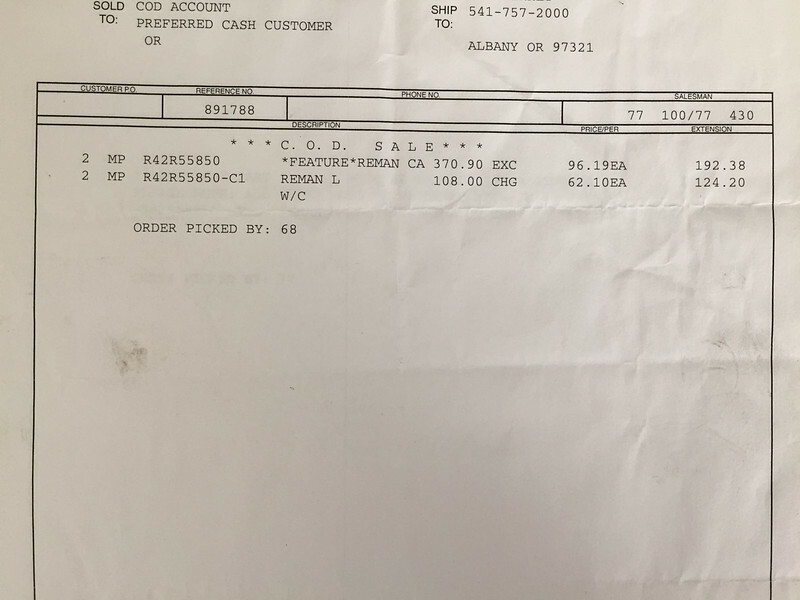 I was able to source all parts from NAPA. Note price is for all 4 wheels. Send money. Have you flushed the brake fluid in the last 3 to 4 years. Brake fluid absorbs moisture and will lower the boiling point of the fluid. While working the brakes hard, the moisture creates steam pockets in the calipers. The next brake application causes a low pedal, compressing the steam. Once the fluid cools down all is well again. Could save you a lot of unnecessary work and $$. Thanks for the tip. Brake fluid recently flushed.